Submit your "Blown Away Moment" together with a photo and a description. Share the moment with you friends and family members. To be eligible for grand prize and consolation prizes, your entry will need at least 20 votes. Come back and check the winner list on winner announcement dates. 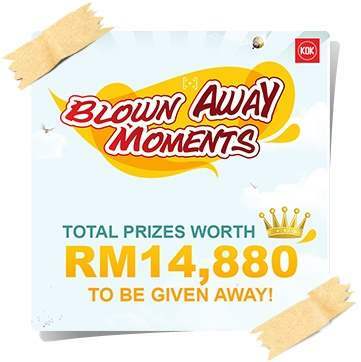 Visit KDK's Blown Away Moments contest page for more details.